Technik 8+ Quad Enclosure Shower Room - Only £630.99! In stock now for just £630.99 including VAT! Hurry while stocks last! This attractive Technik 8+ Quad Enclosure Shower Room includes everything you need to completely rennovate your bathroom space. With this stylish and eye-catching new shower enclosure as a stunning centrepiece, this fantastic full bathroom suite is built to impress. 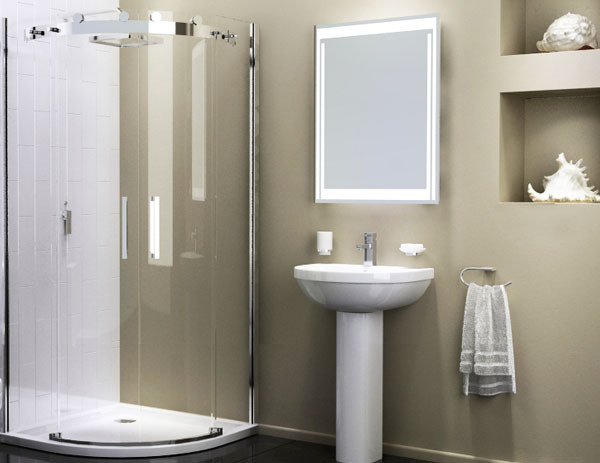 This modern, fantastic value and beautifully designed shower room suite is ideal for smaller bathrooms, ensuites or any room where space is at a premium. 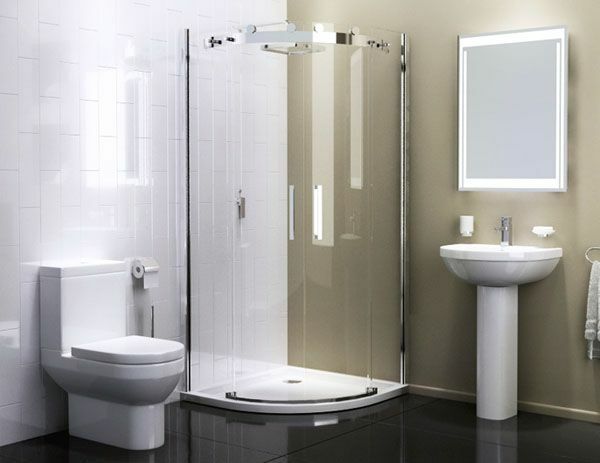 The chic shower enclosure has 6mm toughened glass and sliding doors which open and close within the cubicle. As a result, this shower is the perfect addition to a bathroom that is low on space and needs to maximise its potential. The sleek and shiny fixtures of the shower are ideal for the modern bathroom space, with its chrome finished wall profiles and elegant bar handles. The enclosure is not only stylish, but also highly functional. The shower doors close with watertight magnetic seals, meaning you won’t have any trouble with leaks or spillages onto your showering area. In addition, the seals have quick release clips, making all cleaning and installation an absolute breeze. This flat top stone resin, low profile shower tray comes complete with a brand new, lightweight design, features a new, modern design. The cutting edge style of this shower tray makes it the perfect addition to modern bathrooms, as it compliments all the latest bathroom trends, whilst also retaining all of the functional benefits of solid cast stone. This set comprises of a single tap hole basin, supported by a pedestal. 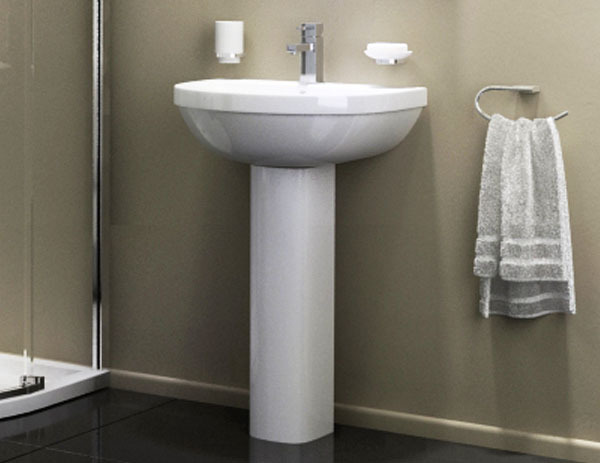 The stylish, semi-circular shape of the basin intelligently provides plenty of room for washing, whilst the design is perfectly complimented by the slim lined pedestal. Its adaptable styling makes it adapt perfectly to both modern and traditional interior design schemes, whilst the high quality materials used to manufacture it make this a classy addition to any household. 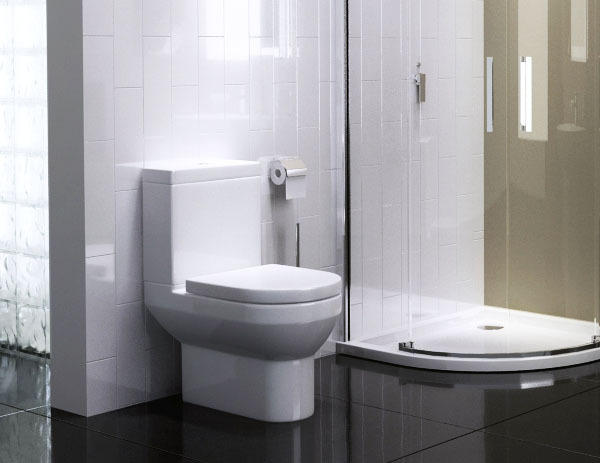 This toilet and basin set are perfect for the modern home, with their striking lines and bold features. The toilet comes fully fitted with a soft close seat, ridding you of irritating loud bangs and making them much less susceptible to damage. The cistern is fitted with the latest in dual flush technology, allowing you to change between a 3 litre flush and a 6 litre flush. Not only will this help the environment, but it will also save you a bundle in water bills. The Tec Studio Y range is by far one of our most popular taps, and for good reason. The stylish waterfall spout adds a visually stunning feature to the set, making water flow out of the tap in a stunning and unique way, making the bathroom space feel more like a spa than a room in your house. This fully loaded, luxury shower room suite can be purchased in either 800 or 900mm sizes. (Please specify your choice via the drop-down menu below). This is the perfect choice for bathroom rennovations and apartments, and is particularly popular for use with guest bedrooms or ensuites. Versatile and suitable for a wide range of situations, this is fast becoming one of our most popular sets. Review: Bought your 8+ shower enclosure suite for our new guest bathroom and it looks fantastic. Really like the shower area and my friends have all said how great it looks. Thanks for help in arranging delivery too. Cheers!